Redesigning your home is a fun way to give it an updated look...bringing it back to life. 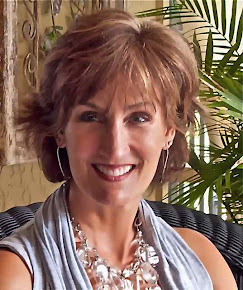 Diana Smith has some tips on how to breathe life back into your home decor. Let’s face it, most of us suffer from busy schedules and, with this amount of obligations, one can hardly find time for décor projects. These useful tips will help you coordinate your home décor projects better and give you a jumpstart. 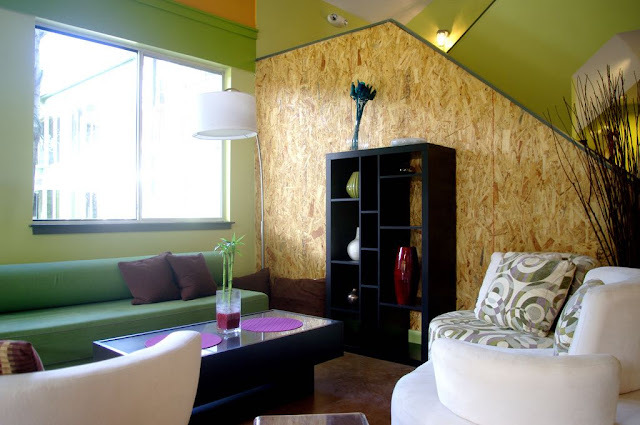 The whole point of remodeling is to give your home a fresh new look, as the first impression is extremely important. We’re obviously talking about the front door here. Think: a fresh coat of paint, a brand new knocker and a new knob – covering all of the mentioned will make your door appear completely new. With this in mind, getting a new door is also a more expensive, but an efficient option. The walls are usually the first thing that comes to mind, when planning a house remodel. Instead of keeping that boring and bleak form of white or cream, opt for more vibrant colors, such as green and aquamarine – this will breathe life into your home, without putting too much pressure onto your eyes. 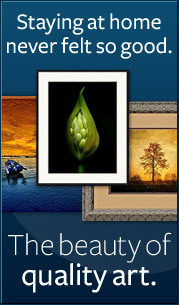 Avoid colors such as red and aim at muted yellows, soft blues and vibrant greens. 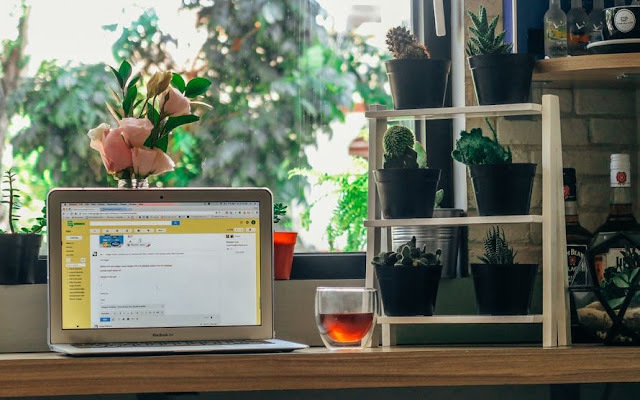 If the walls are the first thing that comes to mind when you are planning on doing a house remodel, decluttering is definitely something that should come to mind first. You can’t do anything in a cluttered home, so getting rid of all the unnecessary stuff should be of primary importance. Clutter, however, is a problem for a reason – it doesn’t occur due to neglect and laziness, but rather due to the human nature of getting easily attached to objects. The first order of business when decluttering is making a list – put stuff that you haven’t used in over a year on paper. After you’ve done this, mark the items that really mean a lot to you. The rest is, well, clutter. Throw it away as soon as possible, before you get emotionally attached to it as well. Natural light is the best type of light. Nothing brightens up the atmosphere more efficiently than sunlight. Letting it in, however, can sometimes be a problem, depending on which side your house is on. If you can, aim at installing large windows on the north side of your home. If this isn’t possible, skylights are a great choice; the more expensive ones are fitted with mirrors, in order to bring daylight to your home. Skylights are the best way to bring in the natural light indoors. Even during the night, you still want your home to look great. Without proper lighting, all the quality décor that you managed to obtain will be in vain, so opt quality lighting. LED lights are always a fantastic choice and, even though the LEDs are more expensive than the regular lighting, they do pay off in the long run. Once you’re done with the big stuff, it’s time to move on to, well, trivialities and other paraphernalia. Think about getting indoor benches, new chairs, new tables, etc. This will not only provide comfort and stop those creaking sounds of old furniture, but also completely refresh your interior. Get a new carpet, buy new ashtrays (if you allow smoking on your premises) and find cheap, yet gorgeous pictures at the local flea market – while you’re at it, get some cheap decorative items, too. 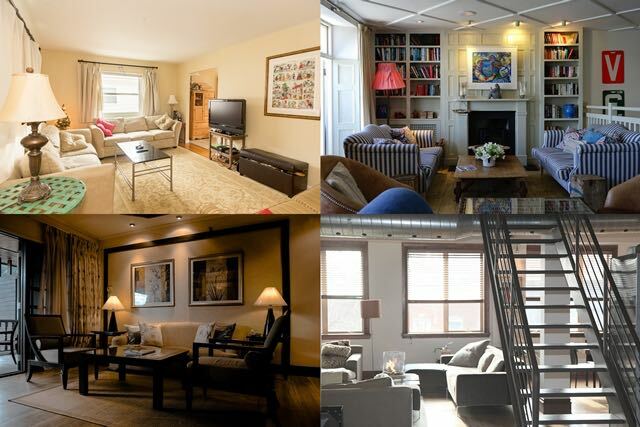 These were the basics of redecorating your home. In truth, refreshing your interior is something best done on your own – get your own ideas, adapt them, try to match items and, generally speaking, have fun; there is no reason to perceive this as an obligation. 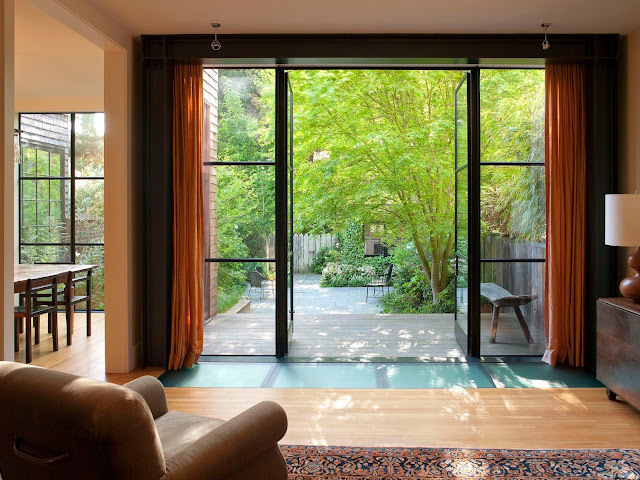 When renovating, most people tend to focus too much on the interior of their homes and completely ignore the street appeal. Still, making your home look great from the outside is of great importance as well. This is especially the case if you are looking to increase the value of your home. 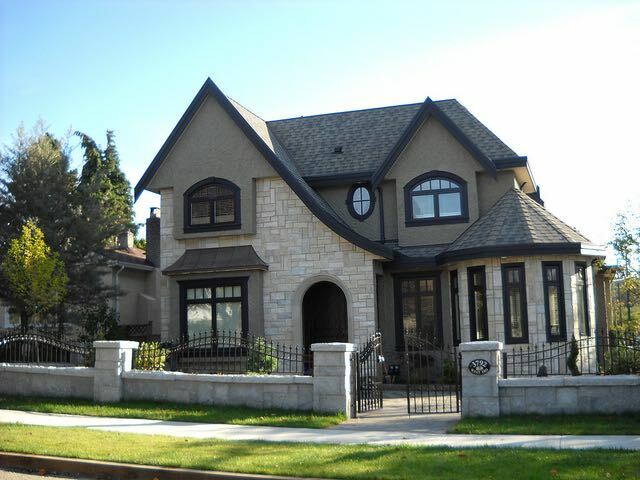 We have come up with 4 ways that will guarantee your home increased street appeal. Your front door is where you greet all the guests and if you want your home to make a strong first impression, you will have to enhance your front entry. If your front door is old, you should think about replacing it. When choosing the new front door you should always go for something warm and welcoming. On the other hand, if you don’t want to make such a big change, a couple of quick fixes will do the job as well. If you notice any damages, make sure you fix them. You can also think about repainting your front door. Just bear in mind that you don’t always have to go with neutral colors. 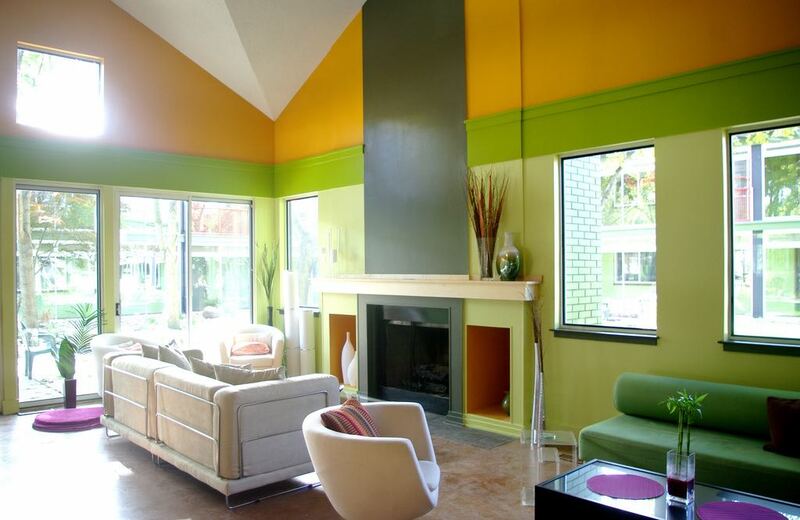 If you want your home to be more distinctive, make sure you opt for some vivid colors. 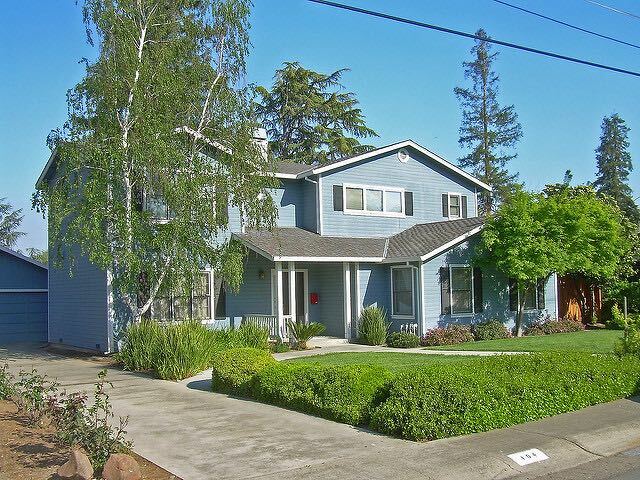 When trying to increase your home’s street appeal, you will also have to get your hands dirty. Even the smallest changes can make your home look better which means you can start by cleaning all the gutters. In most of the cases, there will be some piled up rubbish that you will have to clean. While you are cleaning, make sure you also check the gutters for any cracks and leaks. Fixing any of these issues means you will avoid the risks of getting your house damaged by water. Even though these minor changes don’t seem noticeable at first, they can always cause some bigger issues if not dealt with on time. Not to mention that wit will help you quite a bit if you’re looking to sell your house. Your outside wall is maybe even the most important thing when it comes to increasing your home’s street appeal. If your home is old, chances are the brick on it are looking beaten-up. 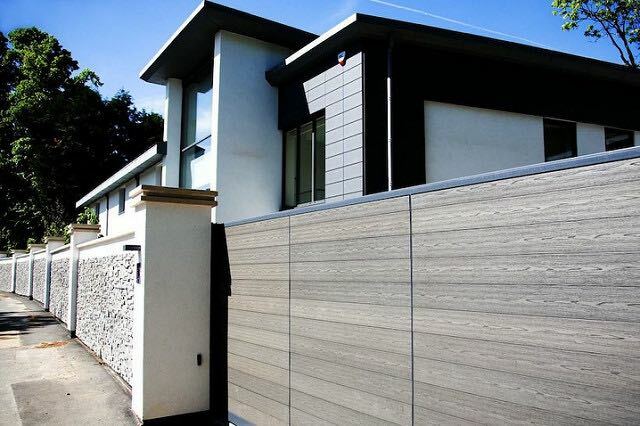 That’s why installing a new architectural wall cladding systems is a great idea, and now you can find many different types of cladding systems to choose from, so make sure you ask professionals for advice when making your choice to find the optimal solution for our house. No matter how much effort you put into making your home look great, there will always be some cracks and scratches on your windows. Frames also start to deteriorate and glass gets stained beyond repair. If you want everyone on the street to admire your home, you will have to deal with all of these issues as well. Cleaning your windows with old newspaper is a great way to deal with some stains you never managed to get rid of. If the frames got damaged too much, you can always repaint them. If you are repainting both your windows and your front door, make sure you stick to the same color. Follow all of these ways and your home is guaranteed to look amazing from the outside. Also, put some effort into keeping the exterior of your home clean if you want it to be as street appealing as possible. Chloe Taylor shares some valuable information and tips on how to keep your home's air clean. We spend a lot of time worrying about the air pollution outside, but we are forgetting about the air quality in our homes, since we tend to presume that our homes are the safest places to be in. Sadly, we’re mistaken. Indoor air can pose a serious health threat, especially because we spend most of our time inside. The cumulative effects of indoor pollutants (e.g. mold, gases, household products, volatile organic compounds and pesticides) can increase the risks of heart diseases, asthma, and other conditions. Knowledge is your most powerful tool against these health hazards, so here are the things you need to know about keeping the air inside your home clean and safe. Not all pollutants are alike, and some are more dangerous than others. The deadly three you should minimize, or even better, get rid of completely, are carbon monoxide, secondhand smoke and radon gas. Dealing with the second is easy: don’t allow smoking in your house, instead ask the smokers to go outside. Carbon monoxide detector should keep you covered when it comes to exposure to this odorless gas and testing for radon is the only way to determine whether your home contains this dangerous gas. Lead paints and paints containing volatile organic compound (VOC) can release toxins months and years after application. Lead-based paints were popular in houses built before the ‘80s, so if your house is one of them, avoid any serious remodeling works that require sanding or disturbing the walls in any way since it can release a lot of toxins. 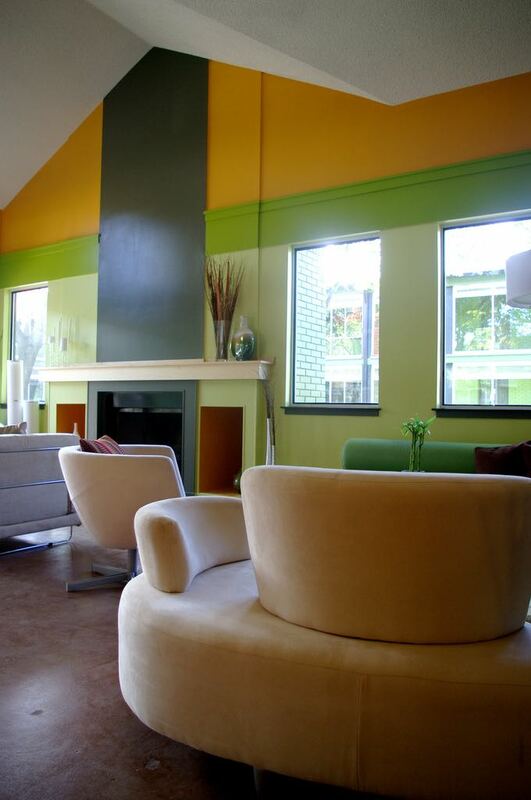 If you are planning on repainting, use VOC-free paints. 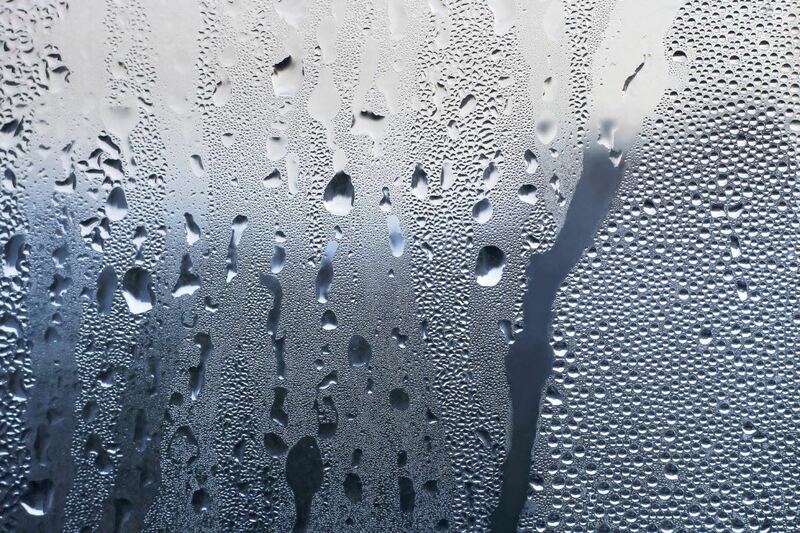 Humidity can cause mold and mildew which are linked with higher risk of coughing and asthma symptoms. Most of the moisture issues come from the roof, basement and foundation, so make sure you check those places for leaks at least once a year. Sometimes you will need extra help to clean the air in your house, and this is especially important for kids’ rooms and bedrooms. Quality air purifiers can get rid of piled up contaminants and help with problems such as coughing, snoring, unpleasant smells, allergies and more. Dust allergies are very frequent and they can affect respiratory system, eyes and skin. The main causes of these allergies are dust mites. You can get rid of these microscopic pests by using a dehumidifier to keep the moisture lower than 50%, steam cleaning upholstered furniture, removing carpets and using dust-mites-resistant covers. Proper ventilation is the best way to maintain optimal air quality in your house. It helps controlling moisture levels, as well as removing various contaminants from indoor air. 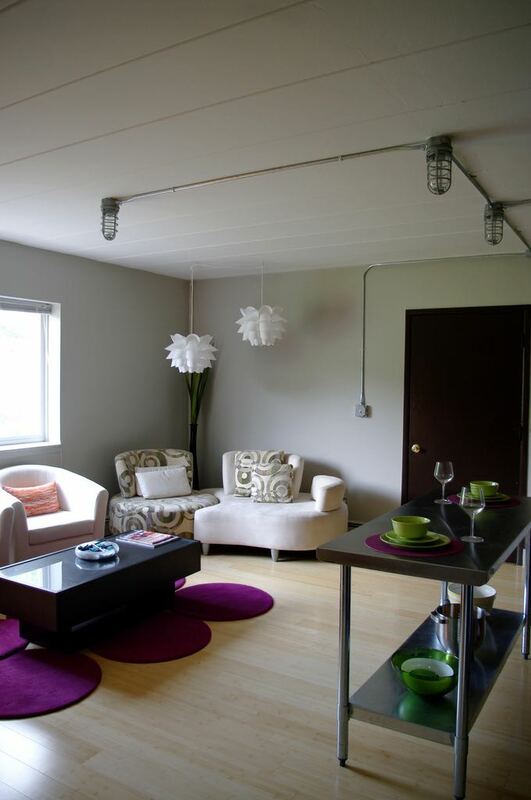 Besides frequent opening of the windows in all rooms, you can also install exhaust fans. 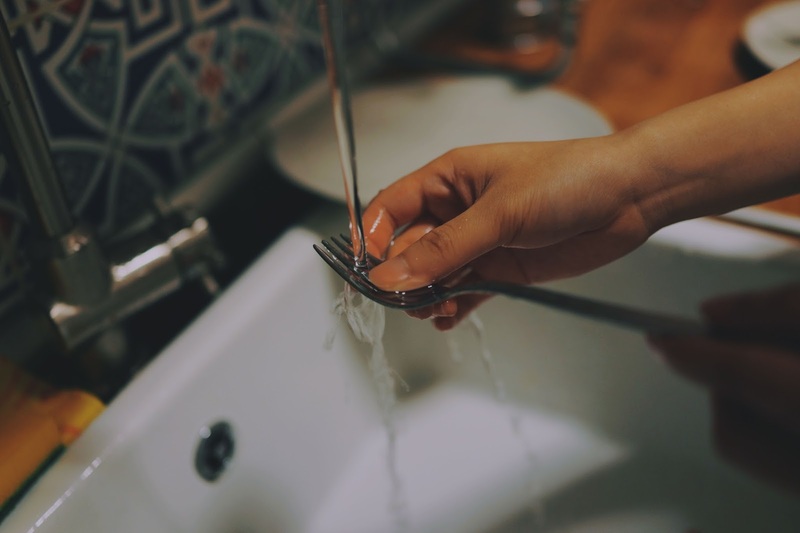 Many of the household items (especially those meant for cleaning) release a lot of toxins in the air, which can cause serious harm when piled up. Look for organic cleaning products, or make some yourself from the ingredients such as lemon juice, vinegar and baking soda. Also, try to use natural hair and nail products. 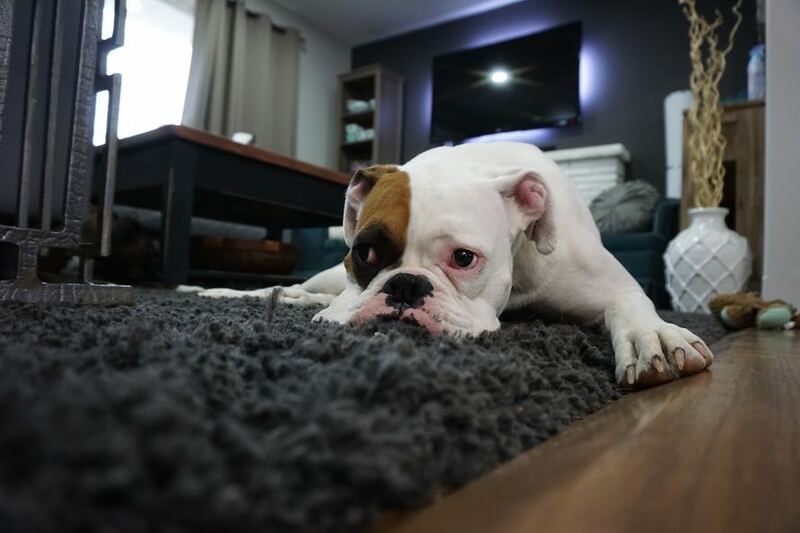 Cleaning up after your pet and regular dusting are the most direct roads toward clean interior air. Steam cleaning is always the best way to clean carpets, furniture and heavy drapes, since it doesn’t send additional contaminants into the air. Besides dusting and vacuuming, you should also clean your air conditioner and dehumidifier. Now that you have the knowledge you need to defeat indoor air contaminants, it is about time to start the fight, so that you can create a healthier future for yourself and your family. After you’re done, take a deep breath and feel the difference. 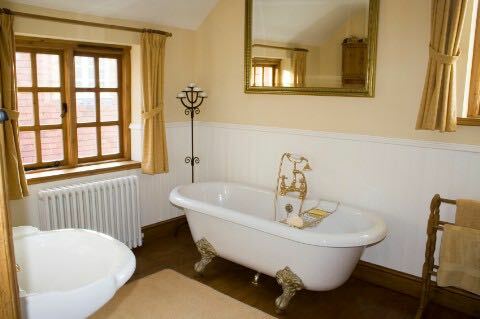 Bathrooms can be one of those overlooked rooms when decorating your home. There are many styles to consider and vintage decor may be just the look for you. 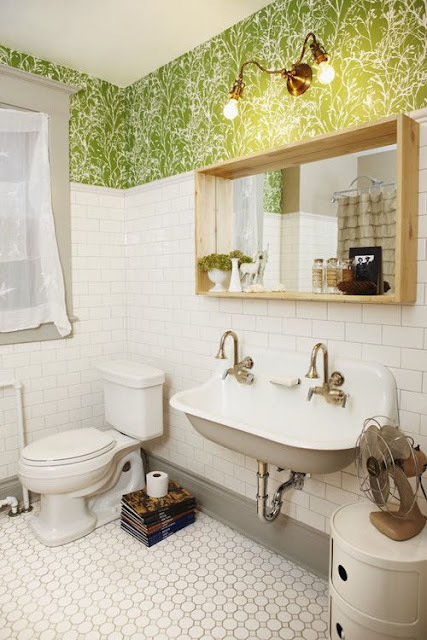 Diana Smith shows us how to create a vintage bathroom in five steps. Even though bathrooms are usually small and enclosed spaces, that does not mean they shouldn’t be decorated in a fashionable manner. For example, your bathroom can display the latest decorative styles and contemporary looks, becoming so much more than a simple place where you shower and get ready for work. On the other hand, it can serve as a distinctive time capsule and bring back all the styles from the past decades – even centuries! If you’re one of the people who prefer antique appeal and want your own private sanctuary to be dressed in a more formal wear, here’s how you can create a vintage-style bathroom in no time. When browsing through the latest catalogues of bathroom equipment, you can easily notice how widespread glass-enclosed showers have become. 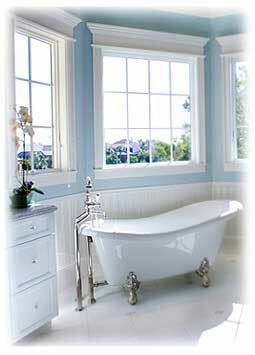 It almost seems that they have completely replaced bathtubs and that very few people still use these antique pieces. However, if you take a look at the selection of freestanding bathtubs right now, it’s not hard to notice why they have so many fans. Should you decide to incorporate such a bathtub in your vintage bathroom, there’s only one choice – a claw-foot porcelain tub! Attractive, elegant and stylish beyond your wildest dreams, it will instantly turn your bathroom into the envy of the entire neighborhood. Acquiring this kind of bath is not as hard as it looks, and its perks are numerous – from durability and comfort and easy cleaning. Finally, a claw-foot porcelain tub will be the perfect centerpiece of your bathroom and the best focal point you could ask for. What’s the ideal addition to your new claw-foot tub? A vintage-style shower curtain, of course, especially if you accompany it with an oval rod hanging from the ceiling. This combination will bring an even classier look and prove to be irreplaceable when you need some privacy. Your bathtub will be properly framed and the shower curtain can feature the most popular patterns from the 1920s or 1940s, so this is something you should definitely keep in mind when renovating bathrooms. This is another cornerstone of a vintage bathroom and you simply can’t imagine one without an adequate sink. Luckily, there are tons of choices. Whether you wish to go with a console sink with metal legs, a one-of-a-kind pedestal sink or a nice vanity sink with drawers, you can’t go wrong. Nonetheless, consider restoring and repainting your sink before installing it – it will be extra shiny and stylish. Another thing a vintage bathroom needs is a selection of vintage storage solutions. When you can’t use a brand new cupboard, a turn-of-the-century medicine cabinet is a much better solution. Made from high quality wood and painted white, this piece will not only store all your bathroom products, but also look great above your sink. 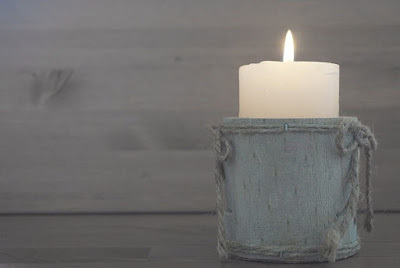 In case you can’t seem to find an appropriate one at your local flea market, try making it on your own – it’s not that hard, but brings amazing results. Not many people pay close attention to the final touches of their redecoration process and the fact that they miss the most obvious part – the actual decorations – tells you that this is to be taken seriously. Bathrooms usually don’t require too many decorative pieces and arranging them won’t take too much of your time, but will, on the other hand, be a wonderful addition to the whole presentation. When searching for vintage accessories, try keeping it consistent – mixing a mid-century soap holder with a modern soap dispenser is a faux pas that will neutralize all the good work you’ve done. Some of the vintage decorations you can pick are long-thread cotton towels, decorative vases and hanging art pieces that go perfectly with the aforementioned bathtubs. In the end, if you want your accessories to be as authentic as possible, try getting them at bazaars or your grandparents’ attic. Other ideas you can introduce to your vintage-style bathroom are picture frames, chic robe hooks, classy lamps and hexagonal tiles. All of these will bring a new vibe to your old bathroom and make you want to spend more and more time in it. 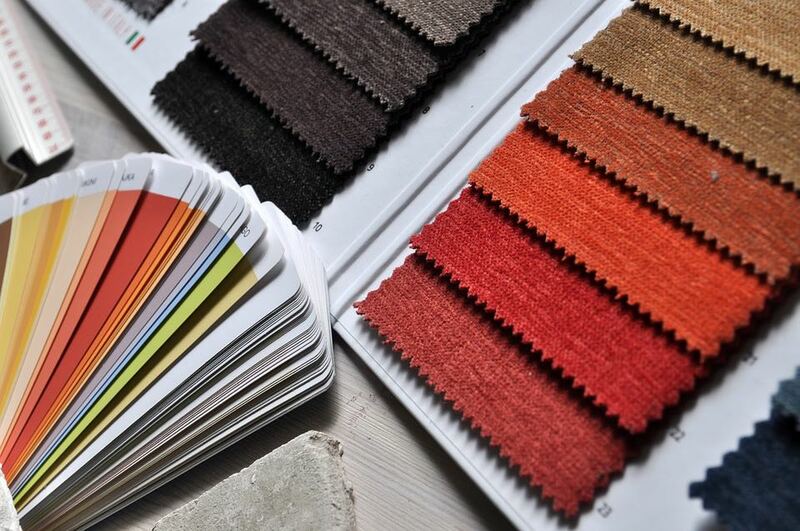 Regardless of whether you’re a first-time home owner in need of adequate home décor or simply want to make the interior design more appealing to you, you should have your own ideal style in mind before you start your search and decoration work. You might prefer modern vibe or love the feel of rustic chic style, or you might even adore vintage décor. In the end, you might find mixing and matching different styles perfect for your own needs. Whatever you choose, it’s essential that you have your own take on each and every one of those styles. There are many home design styles out there and finding your perfect one(s) might seem difficult at first. Therefore, you need to know what some main characteristics of each style are. For example, already mentioned modern, rustic chic and vintage are three top and most popular styles according to design experts, and these three represent all other styles and differences between them. In general, modern style is minimalistic in layout, with sleek furniture and other elements, statement accessories and bright colors. Rustic chic can have a lot of modern elements when it comes to décor, but there are still a lot more decorative pieces around, a lot of wood and nature-inspired elements and pastel colors. On the other hand, vintage style is characterized by bold, deep colors combined with a lot of intricate details reminiscent of old times, eras and different cultures. If you’re unsure what style would be perfect to complement your personality, simply ask yourself what your likes and dislikes are, and what are your general preferences in different aspects of your life - like fashion, for example. 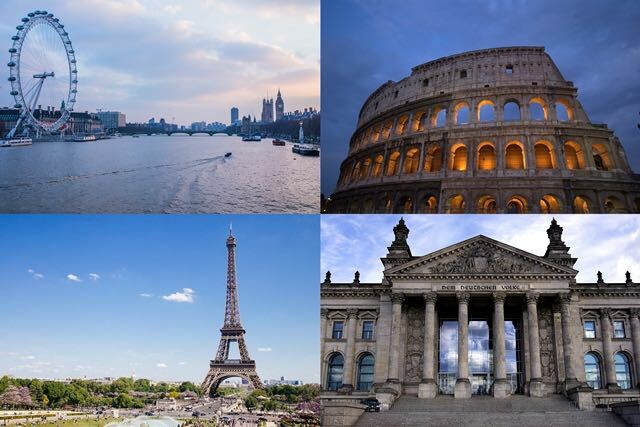 What’s more, you definitely have certain countries in mind when thinking about dream vacations, and this might happen to be due to the unique architecture and design characteristic for these places. Are there some books and movies that inspire you? 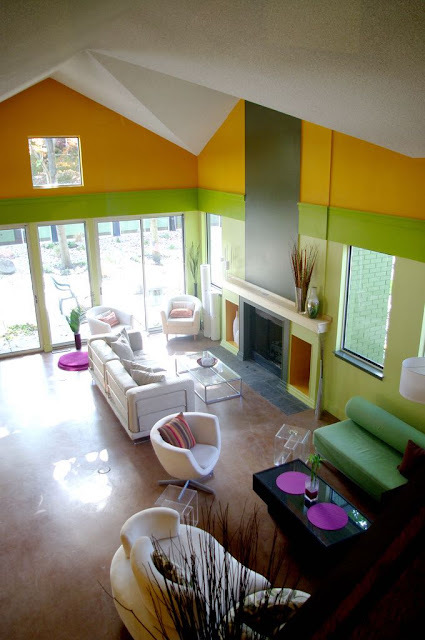 In general, your whole life can serve as a great starting point for discovering your perfect home design style. In some cases, you might find your own preferences confusing and far from helpful when it comes to home styling. This is not a reason to worry, though, since there are many online quizzes that can assist you with your search. Also, there are numerous magazines and countless blog posts featuring different home styles, that are bound to prove useful when choosing your own décor trend. Basically, there’s a great deal of inspiration at your disposal. Even though there are many styles that are called by one specific term and involve a set of characteristics, you don’t have to choose just one and most certainly don’t have to include everything that’s said that specific style involves. Actually, it’s even more rewarding and entertaining to mix and match aspects of different styles in order to make your home truly personal and unique. For example, if you like the modern minimalist style more than any other, but still want to break the plainness, big, bold and beautiful designer pots can be the perfect way to do so. Also, if you have strong appeal towards two or more completely different styles, you can take upon yourself the task of decorating each room in your home by rules of each of these particular styles. What’s more, you can make everything more toned down or more extravagant. For example, if you’ve decided that vintage is the right way to go, you can make it almost gothic like, with bunch of patterns and gothic details, or you can make things simpler by going for the retro vintage style. It’s all up to you. It’s essential to stress the importance of following your own tastes and likes when looking for a décor style, as well as implementing it in your own home. It’s not necessary for anybody else to like it or approve it, as long as you’re absolutely happy with the environment you’re creating for yourself and your own comfort and pleasure. *Emma B. Joyce is blogger based in Australia. She is a true home decor and DIY fanatic. Emma is interested in music and also is a big reading enthusiast. Finding new designs and patterns is her daily task. She got hooked on home accessories and decorations during her traveling and now cannot stop searching for new inspiration. Buying your first home is always a very exciting time but can be a little overwhelming when it comes to decorating it. Diana Smith has some helpful tips on how to get started. 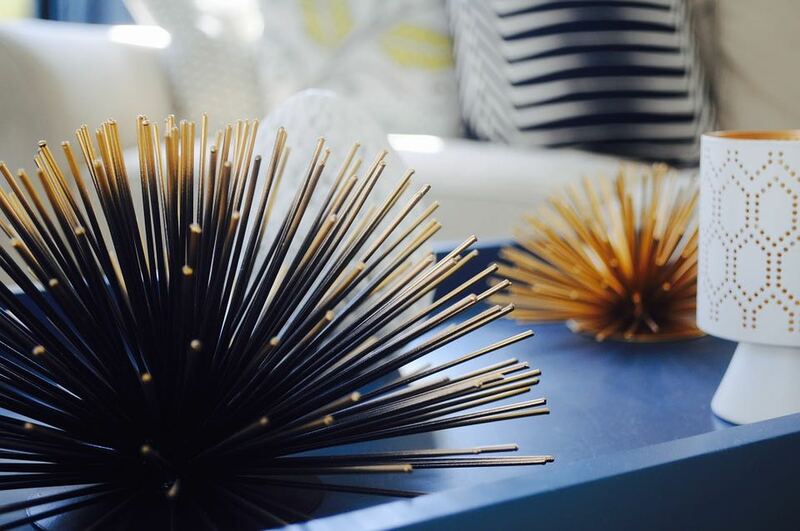 There’s hardly anything more fun and fulfilling that the feeling you have when you get to decorate your first home. There’s absolutely no limit to what you can create, but if you struggle a bit, a few helpful guidelines can prove to be very useful, in case you don’t know where to start. Still, remember that this is the fun part and there’s absolutely no reason to stress and worry about the décor. Allow this process to relax and make you happy. When in doubt, change the wall colour! You have probably seen this tip in almost every article regarding home décor, but that’s simply because there’s nothing better to freshen up and personalize your home than a coat of new paint or new set of wallpaper. Not to mention that it’s one of the easiest way to spice up the look of your home, especially if your furniture is still not set up. Bold shades are very trendy, but if you’re not too keen on having this trend all over your home, stick to the one accent wall rule. Once you have your walls done and the whole place cleaned up, you can start bringing the furniture in. For this, you need to carefully measure the rooms, choose the purpose of each room and pick the focal points. That way you’ll have it a lot easier to organize your furniture layout and make the space clutter-free as well as more spacious and easier to move around. Measuring the size of the rooms is especially important if you’re about to head out to buy new pieces of furniture. 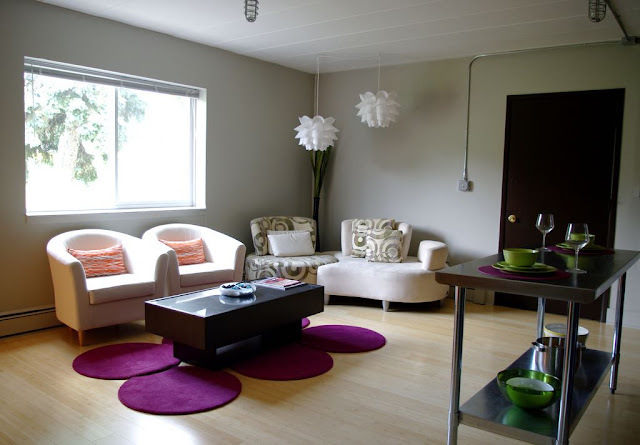 Keep in mind that if your home is on the smaller side, you don’t need bulky pieces of furniture. 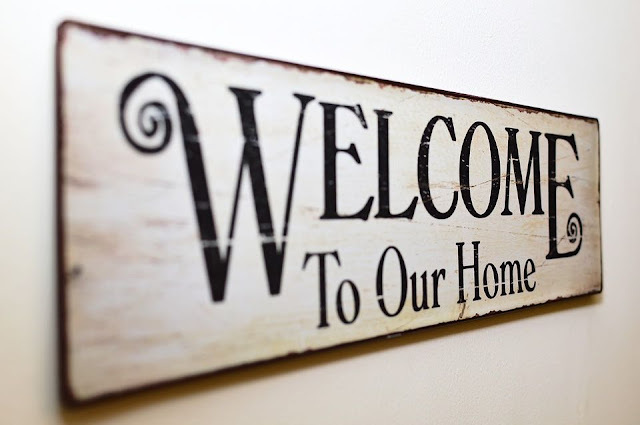 Accessorizing your home will give it a personal touch and a true homey feel. There are many ideas online that could help you with accessorizing trends, but it’s important that you make your own final decision according to your particular likes and interests. In general, less is more. Focus on accessories such as rugs, cushions and curtains, while keep it simpler but still unique when it comes to gallery walls, photos and figurines in order to avoid clutter. There’s nothing wrong with having rooms in your home resembling the ones from the interior design magazines, but you don’t need to make everything conform to one style only. Actually, your place will look more endearing and creative if you incorporate two or more styles at once. For example, if your living room is not really big, you don’t need to buy a whole seating set. You could simply get the sofa that you like and mix things up with interesting bentwood chairs, or mix and match the dining chairs with a dining table from another set that you find more suitable for your taste and size of the room. If you’re on a budget, don’t shy away from antique furniture and garage sales because these can be revamped to accommodate all your personal and creative needs. While there’s always a way to save money on before-mentioned steps for decorating your home, it would be wise to invest more money on your kitchen appliances right from the start. By getting yourself energy efficient kitchen appliances, you’ll provide yourself with good quality products that will last you many new homes to come as well as save money on electricity in the long run. Your first home definitely won’t be your last home, so don’t get too worried and obsessed with making everything perfect right from the start. There’s nothing that can’t be changed and transformed when it comes to interior design and it’s not like you’ll have to live with the same décor you first decided on for the rest of your life. When decorating our homes, elegance and family-friendly design is possible to achieve...Marie Nieves shares some beautiful ideas on how to do it. When decorating their homes, people usually seek for pet and kid-friendly materials, multifunctional furniture and plenty of storage space. This striving for functionality usually pushes the style and elegance to the side. However, designing a family-friendly home can actually coexist with the elegance, but you just have to be creative and think simple. 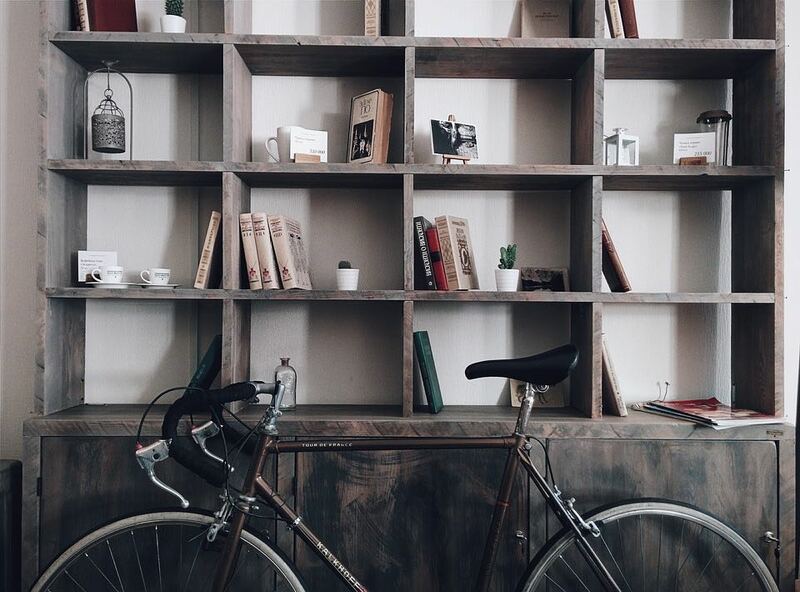 Homes should never be cluttered and filled with unnecessary things. This could be challenging since there is at least three people living there, but you have to prioritize. Elegance is all about minimalism and simplicity and that should be your primary aim. Another problem that could occur is designing and dividing too open spaces. The best advice is putting up wallpapers in order to create accent walls and to subtly divide the space. However, you should opt for pastel colours and fine lines in order to do this, while the accent walls can have a bit more colour on them. This can be a tough task when it comes to big houses, but the trick is in the common areas. Living room, kitchen, playrooms and other areas where you love spending time with your family should be kept airy and fun with vivid colours, comfortable furniture and the things you all have in common and love. As far as private rooms and bedrooms are concerned, don’t try to make them in huge rooms. If you keep them simple and small, you will encourage your kids and yourself to spend as much time as possible together in the living or dining room. Your home probably has a backyard that certainly shouldn’t be neglected. Since you strive for the functionality, consider setting up or renovating the deck into a sophisticated homey space for you and your family. 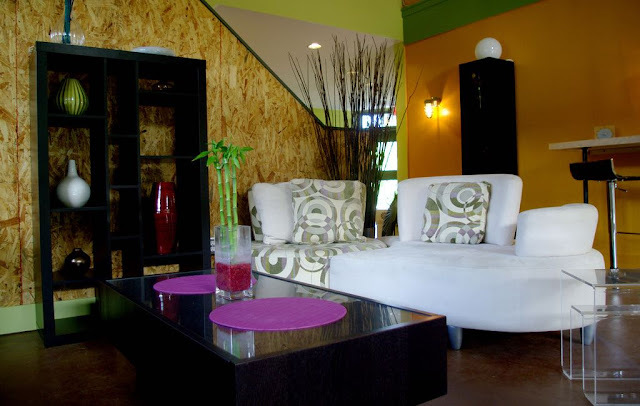 Use sustainable wood for the structure and place plenty of colourful soft cushions all around. This way, not only will you make another common area for all of you to enjoy a summer night’s gathering, but you will greatly extend the landscape design of your garden and the value of your home will increase. Also, you can add a small fireplace in the middle and organize family camp-like evenings during the summer. Modern designs look very elegant, but the whole monochromatic look can come off as boring. In order to break the dull atmosphere, you should consider adding a few antique pieces. Big, elegant provincial chandelier made of wrought iron will look stunning over the dining table and will certainly contribute to the atmosphere during the holidays. Also, some antique figurines, iron chairs and coffee tables will transform the empty rooms and provide comfort. If you go to the flea market or any antique shop in your town, be sure you will find some hidden treasure that can extend the style and elegance in your home; just make sure not to mix too many antiques and keep things simple. The best choices of colours for an elegant interior are whites and pastels. However, you will need something to break the monotony. There is a very simple solution to that – floral decoration. 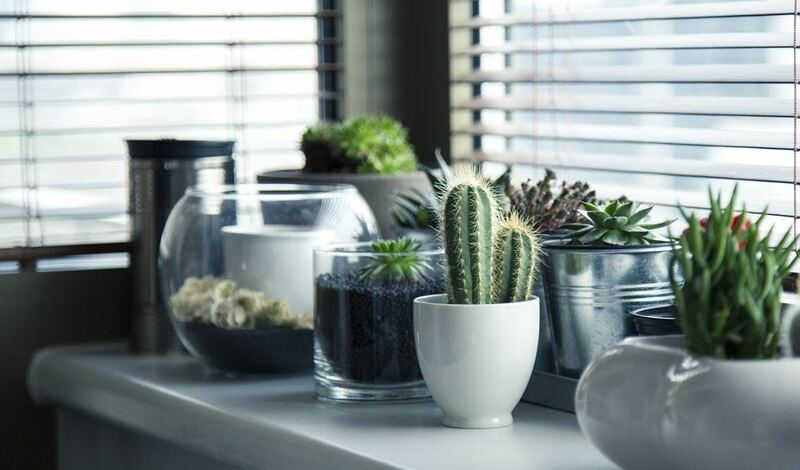 Have as many indoor plants as you want on the bookshelves, by the windows and on the tables. Make sure they are colourful and neatly organized in order to better the atmosphere and bring more life and fresh air into the room. Also, don’t be afraid of floral patterns for the table cloths and cushions. Find patterns and colours you like that go well with the rest of the interior design, and that way evoke warmth and blissfulness in your home. The key is in simplicity combined with a few wow factors. Above all, keep your home clutter-free, airy and filled with flowers and soft fabrics, and you will have no problems with making the elegance work with family-friendly design.